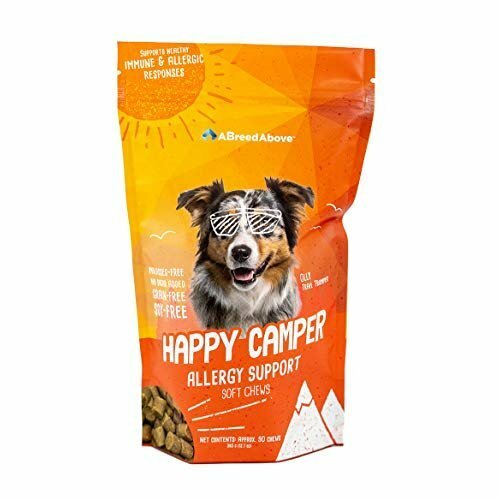 HEALTHY & NATURAL - You want only the best for your best friend. 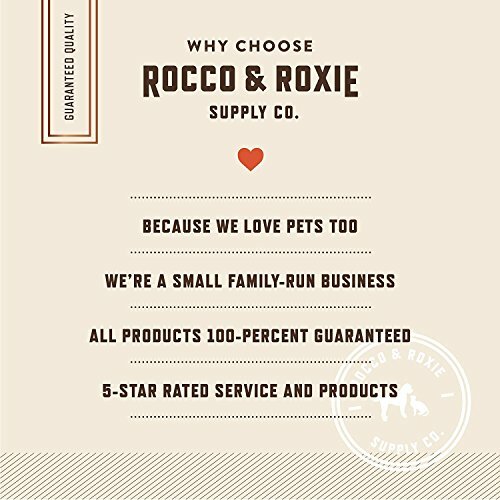 So the premium treats we make at Rocco & Roxie are never enhanced with artificial flavoring or fillers like corn, soy and gluten. They are naturally irresistible. 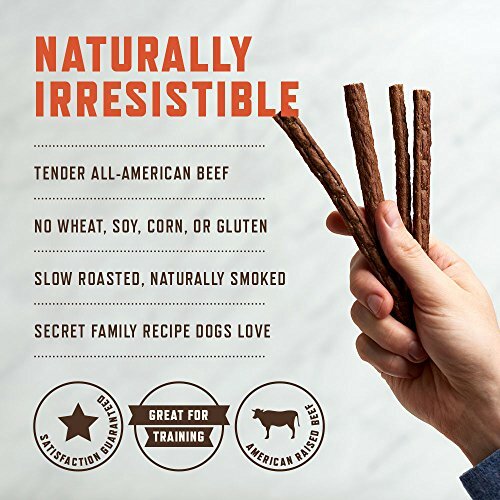 Like dogs.,SECRET FAMILY RECIPE DOGS LOVE - What's the secret to these tasty treats? 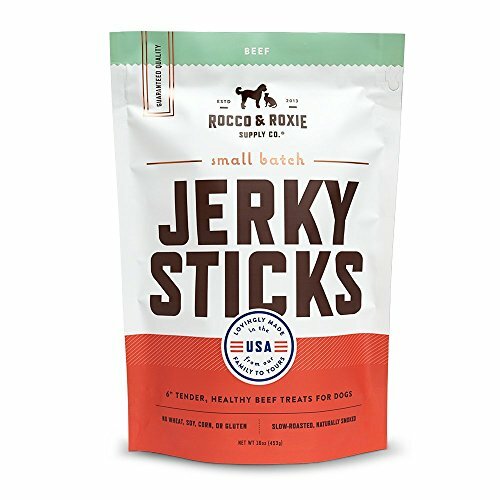 We start with all-American beef of the highest quality. 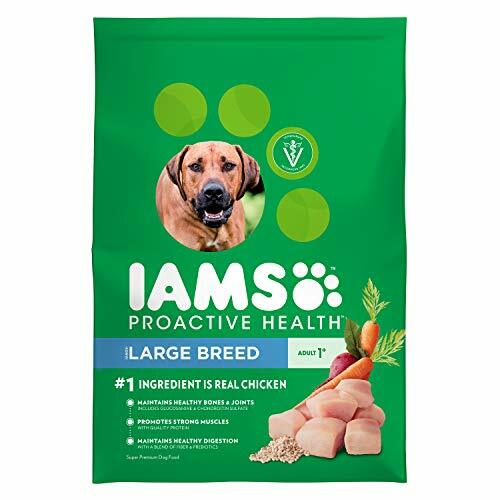 The second ingredient is time. 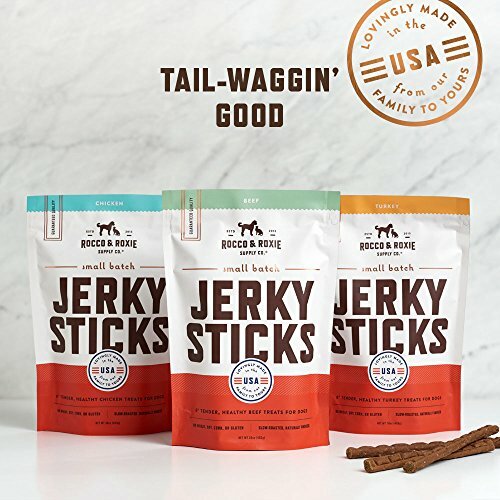 It takes a full 10 hours of smoking to develop that soft chewy texture dogs love.,100% SATISFACTION GUARANTEED - We have been told that even the most finicky dogs love our Jerky Sticks. But don't take our word for it. 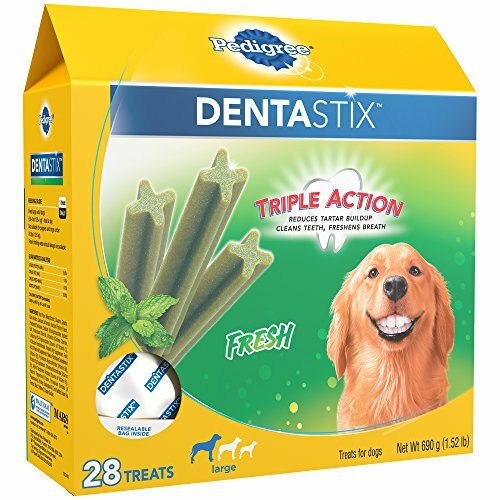 Break off a piece, see if that tail wags. 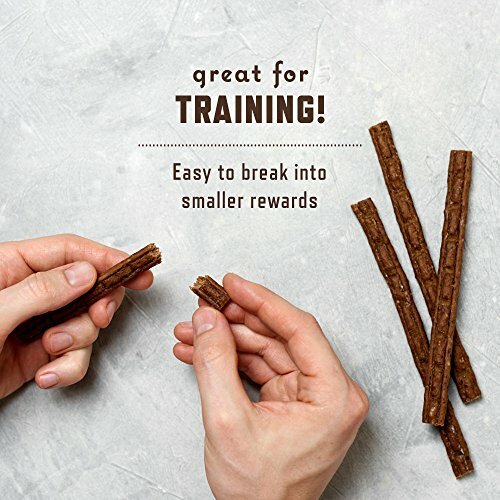 Tails are such a give-away.,PERFECT TRAINING TREAT - Your dog accomplishes a task; he gets a treat. 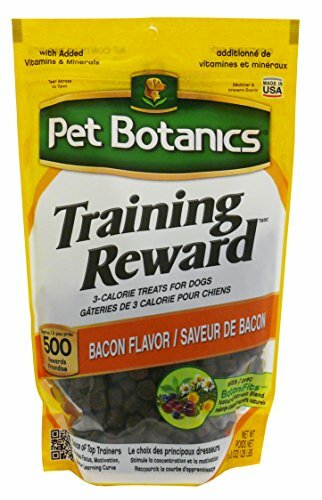 He gets a treat he really really loves and that makes him want to learn more. 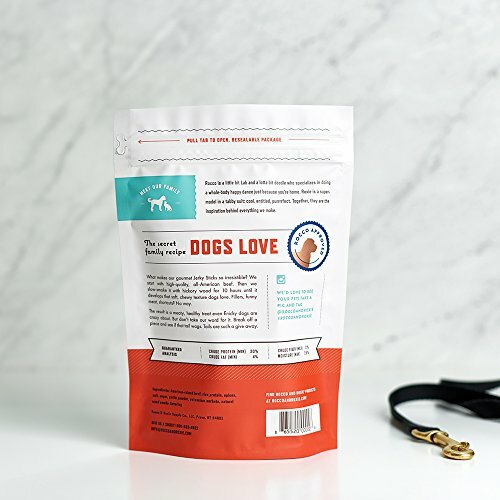 Our treats are super motivating!,NO-STINK HANDS - Unlike artificially enhanced dog treats that leave a greasy, smelly residue on your hands, these feel and smell just like a delicious piece of beef jerky.